Kansas guard LaGerald Vick (24) reacts to his score against Baylor in the second half of an NCAA college basketball game, Saturday, Jan. 12, 2019, in Waco, Texas. 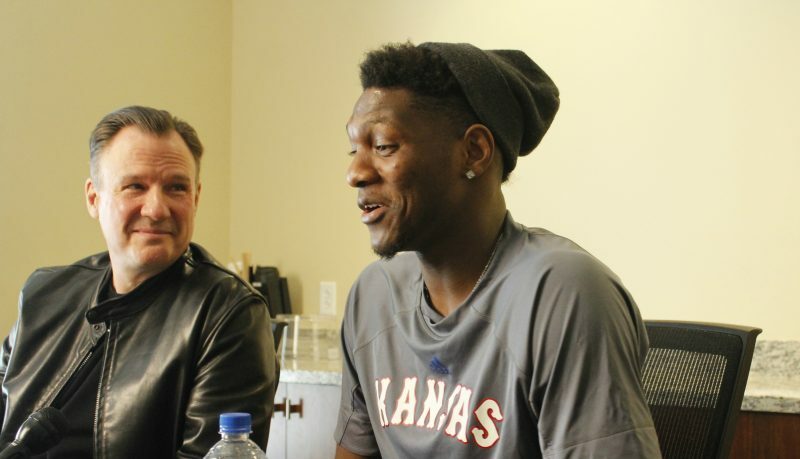 Waco, Texas — Kansas senior Lagerald Vick has had a bunch of memorable moments in a KU uniform, but none quite like this. Late in the first half of Saturday’s 73-68 victory at Baylor, Vick drained a 3-pointer from the wing, just left of the top of the key, that put Kansas ahead, 27-22, and launched Vick into some exclusive company. Those 3 points, along with an earlier Vick 3-pointer that opened the scoring for Kansas on Saturday and the four more triples that followed, gave the Memphis native 1,000 for his KU career — on his birthday, no less. Vick turned 22 on Saturday and several of his teammates and coaches were thrilled to see their most accomplished teammate celebrate in style. Vick becomes the 61st Jayhawk to reach the 1,000-point milestone — No. 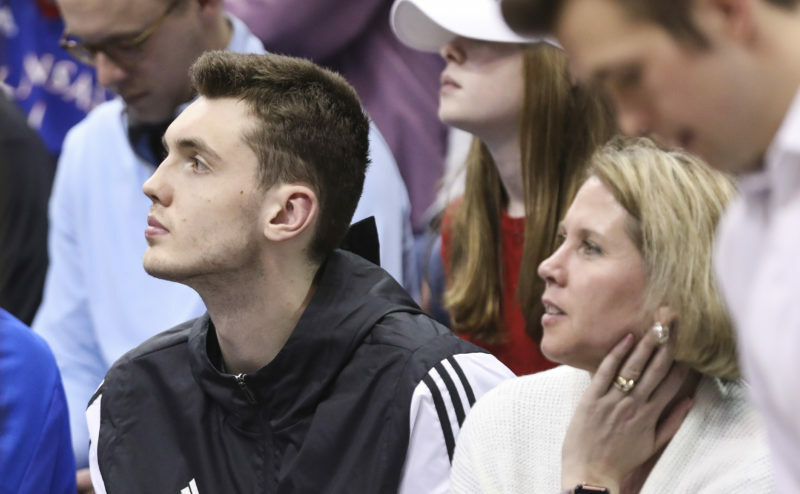 16 under KU coach Bill Self — and, as with most things during his time in crimson and blue, the 6-foot-5 guard reached it with a little bit of style and flare, flashing three fingers and staring down the Baylor crowd after several of his makes on Saturday. After the victory, Self explained why he called for the hot night from his lone senior. Vick finished Saturday with 18 points on 6-of-8 shooting from behind the arc and now has 1,012 points in his four-year KU career. As for Self’s take on Vick’s accomplishment? Vick’s six 3-pointers also moved him into 17th place on KU’s all-time 3-point list, with 150, moving him ahead of Elijah Johnson (147) and within one of tying Rex Walters (151) for 16th place. 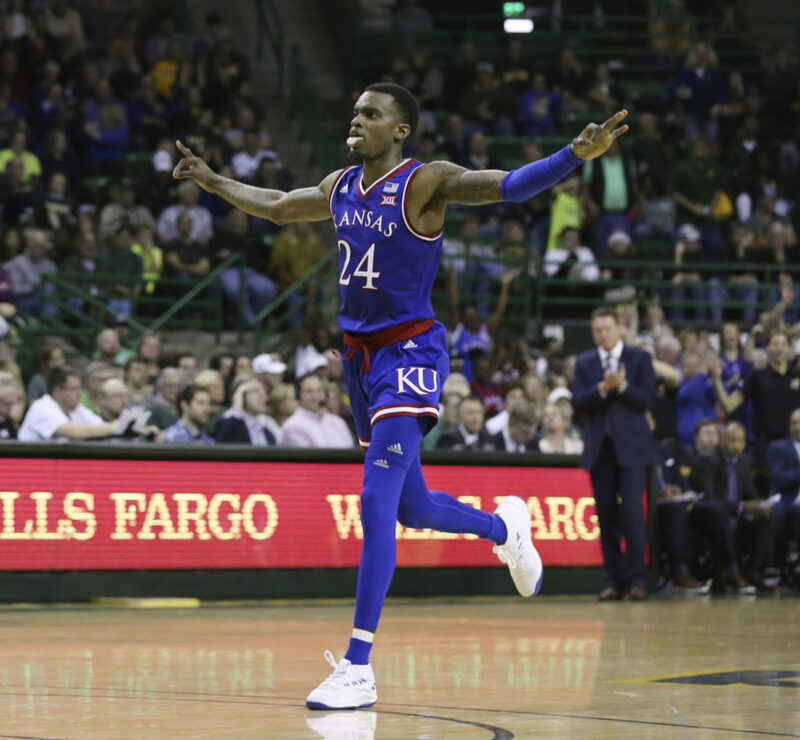 Saturday’s game, which featured Baylor outrebounding Kansas 49-30 on the glass, including a 26-4 edge in offensive rebounds, was one of the most physical games of the season, and several Jayhawks had the marks to prove it. Freshman point guard Devon Dotson emerged from the KU locker room with a scratch under his left eye and sophomore guard Marcus Garrett missed a few minutes of action after banging his right knee into a Baylor player late in the first half. Junior forward Mitch Lightfoot wasn’t as lucky. Not long after Garrett’s knee issue, Lightfoot had to head to the KU locker room after taking a shot to the mouth during a scrum on the floor. 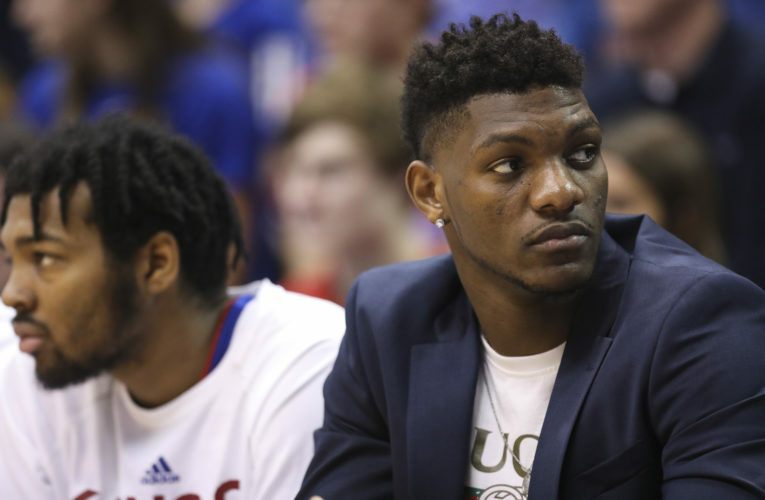 Just before tipoff of Saturday’s game, the Jayhawks learned that Baylor sophomore Tristan Clark would miss the game and the rest of the season because of a knee injury suffered earlier this week. The 6-foot-9, 240-pound forward from San Antonio ranked second on the team at 14.6 points per game and third in rebounding at 6.3 boards, while providing the Bears with something resembling a true, low-post presence. Baylor had no issue rebounding without Clark in the lineup, but Self said he sensed that the Bears might’ve been struggling to figure out how to play without him early in the game. 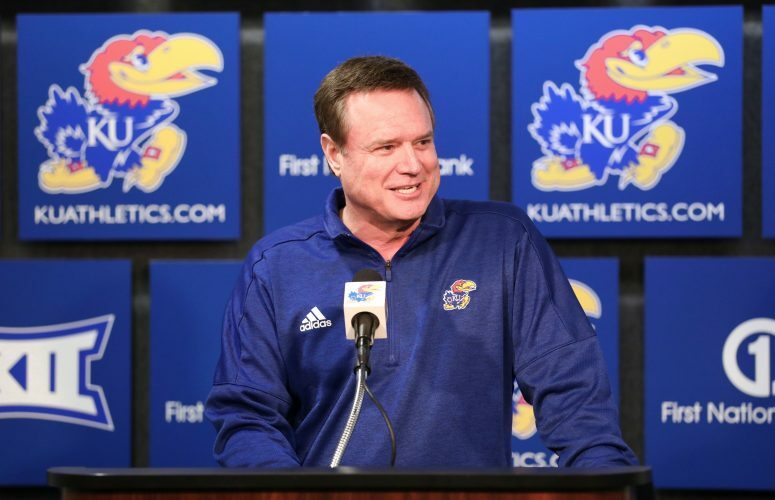 As for how Clark’s absence impacted KU’s game plan, Self said the Jayhawks did not have enough time to make major adjustments. One week after falling to Iowa State in ugly fashion, No. 7 Kansas sits alone in second place in the Big 12 Conference as the only team within a game of first-place and unbeaten Texas Tech. The Jayhawks improved to 3-1 in the conference with a win over the very team that upset the Cyclones a few days after ISU’s win over Kansas. Add to that ISU’s 1-point home loss to Kansas State, which got Dean Wade back on Saturday, and it’s clear that this is shaping up to be a wild season of Big 12 basketball already. 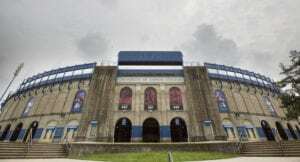 In all, seven Big 12 teams already have two losses, with Tech and KU both having fewer than two and winless West Virginia sitting alone in the cellar at 0-4. 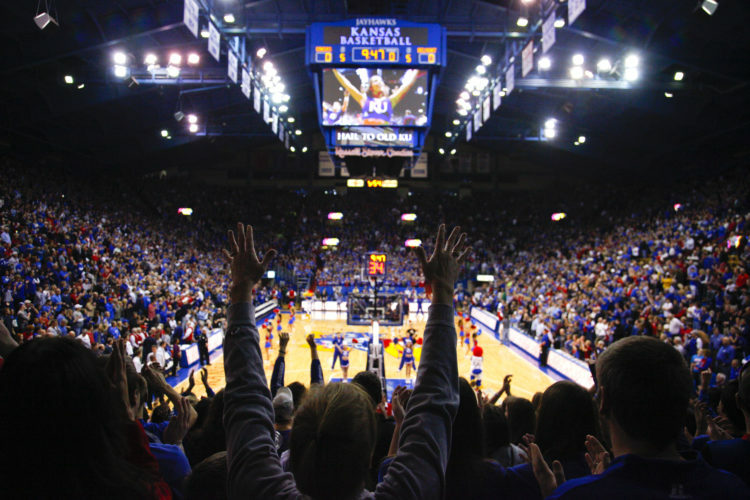 KU’s victory over Baylor on Saturday makes the Jayhawks to 14-2 overall and 3-1 in Big 12 play, or better, for the 13th consecutive season, dating back to 2006-07 … The Jayhawks now lead the all-time series with Baylor, 31-5, including a 13-3 mark in games played in Waco, with all meetings coming at the Ferrell Center … KU’s 9-of-16 clip from 3-point range marked both its most 3-point makes and best 3-point percentage (56.3 percent) in the past seven games. KU made 9 of 23 from behind the arc in a win over South Dakota State on Dec. 18, 2018 … KU’s 11 blocks marked its most since recording 12 in a 2016 win over Nebraska … K.J. Lawson played double-digit minutes (11) for the second game in a row, marking just the second time in his Kansas career that he had achieved that feat.